The Nordstrom family offered $50 a share to buy the retailer and take it private. A special board committee rejected the offer as "inadequate." The offer, valuing the company co-founded in 1901 by John W. Nordstrom at $8.35 billion, was $3 below the per-share price of Nordstrom’s stock at the close of trading on Friday, a day after the company reported strong quarterly sales but disappointing profits. The family group noted in a regulatory filing that the $50 price tag represents a 24 percent premium to the company’s $40.48 share price on June 7, 2017, the day Nordstrom family members took their first public steps toward buying out the company. Financial analysts noted that company values across the retail sector have increased since last summer, due to the continuing strength of the economy and improved consumer outlook in light of the tax cuts. While the family suggests the deal would allow shareholders to “avoid these risks inherent in the current changing retail environment,” the offer – coming in lower than the recent share price — appears to have rankled the special board committee. Nordstrom shares fell $1.14, or 2.2 percent Monday, to $51.90, and fell a further $1.30, or 2.5 percent, in after-hours trading. The family ownership group includes Nordstrom’s most senior executives — the same people tasked with guiding the company’s transition from a retailer known for high-touch service in tony department stores to one that serves customers online equally well. Executives said last week that billions of dollars invested in that and other efforts over the last half-decade will begin to pay off in expanding profit margins this year. The group includes co-presidents Blake W. Nordstrom, Peter E. Nordstrom, and Erik B. Nordstrom, president of stores James F. Nordstrom, chairman emeritus Bruce A. Nordstrom, and Anne E. Gittinger. Together, the group owns about 31.3 percent of Nordstrom’s stock. In the filing, the family group described the $50-per-share price as “an indication of the price that they would anticipate being willing to offer … subject to finalizing financing.” It is not a formal proposal, however, and the family says it would have preferred to wait until it had secured financial commitments before responding to the special committee’s request for an indicative price. Further, the family group said that in late February it received proposals from major lenders for up to $7.5 billion in debt, subject to advisory ratings from credit rating agencies, which it intends to pursue in the next three weeks. The Nordstrom family had paused its efforts to arrange financing last fall, as debt financing in the tumultuous retail industry proved hard to come by. But Nordstrom passed through the holiday shopping season with strong growth in sales, and received a generally positive reception for its plans to more fully unite the digital and physical sides of its business beginning with its largest market, Los Angeles, this year. 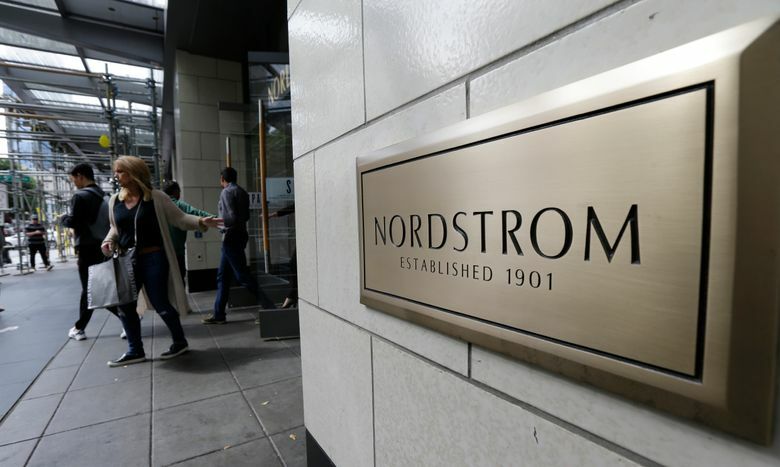 Robert W. Baird & Co. analyst Mark Altschwager said in a note to investors Monday that Nordstrom stands out from other retailers in its category and warrants a price premium. “We’re not all too surprised to see the board’s Special Committee reject the $50/share indicative proposal,” Altschwager wrote.